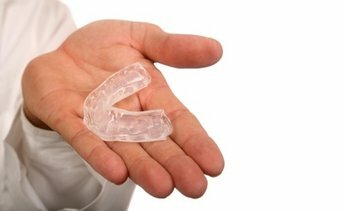 Night guards protect the patient’s teeth while they sleep, and they are a particularly necessary treatment tool for patients that suffer from bruxism. Bruxism, more commonly known as teeth grinding, causes the patient to grind their teeth during sleep, with can result in cracking or damaging the teeth over time. The simple act of wearing a night guard can keep your teeth protected and safe all night long. If you think a night guard is the right solution to prevent your teeth grinding from damaging your teeth, let Dr. Feintuch help match you with the most comfortable night guard for you today!